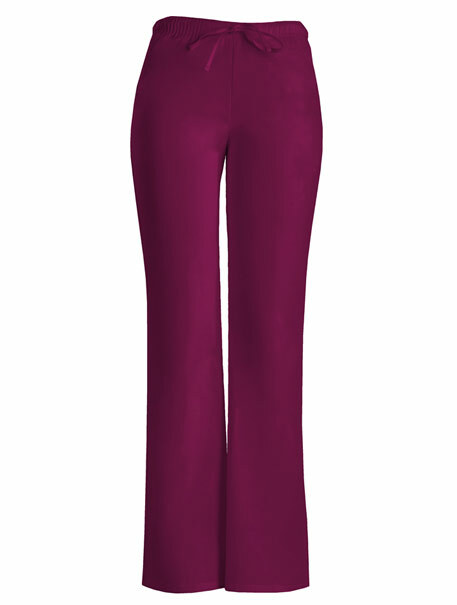 A low-rise, moderate flare leg, adjustable drawstring pant with an elastic waist features front slash pockets. 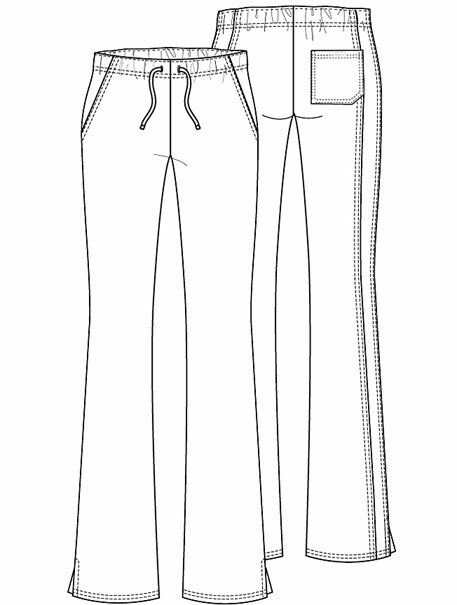 back leg seam, back patch pocket and side vents. Inseam: 31"